This is only one of the reasons I love my daughter-in-law. My son redid their closet. Look, he made a shoe shrine wall. :rofl: Gosh darn it all, she has the. cutest. shoes. Okay, but why does this make me adore her? (besides the running argument I have with SuperGuy over our closet space???) 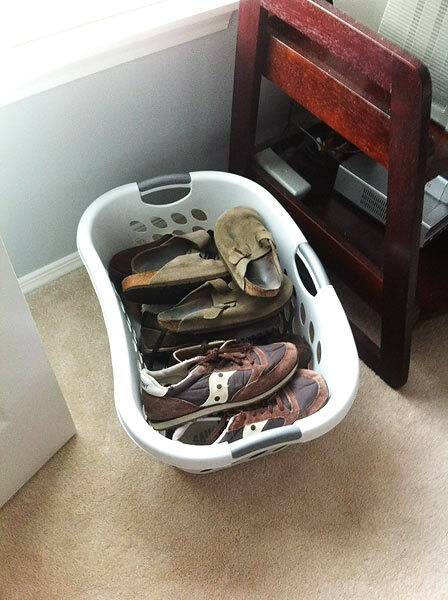 When I asked where my son’s shoes were?? 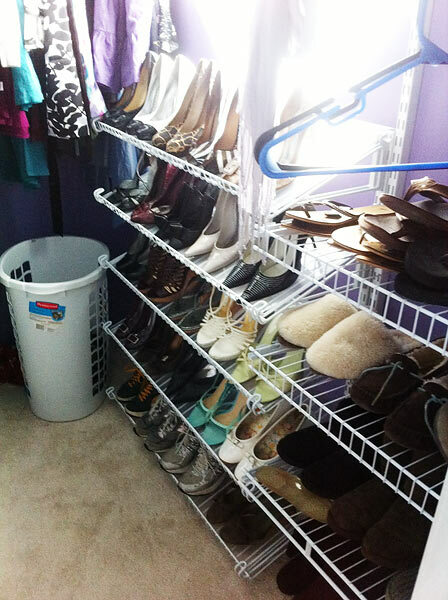 The only problem with how organized these shoes are is there is no way to deny how many pairs you own. I have no problem whatsoever with his storage. That shoe storage thingy is just a thing of beauty! Wow!